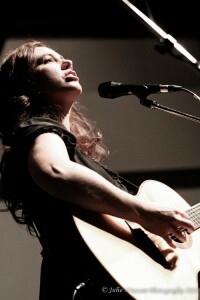 Two guaranteed-to-be excellent folk nights are coming up in Irvinewithin the space of seven days. On Wednesday 30th May it’s Ian Bruce & Ian Walker at Irvine Folk Club and on Saturday 2nd June Jim Malcolm tops the bill at the Harbour Arts Centre. The three musicians make a welcome and always eagerly anticipated return to Irvine. Ian Bruce now resident in Edinburgh and Bo’Ness based Ian Walker are two gifted songwriters and fine singers. When they joined forces in 1987 as an occasional duo, they quickly established themselves as a winning musical combination. It’s hard to pin down Ian B’s style – his repertoire includes traditional material, country plus some almost pop items. What’s certain is that his exceptional vocal range and fine guitar playing make him an artist that is hard to match. The quiet man in the duo Ian W, plays banjo in an uncomplicated fashion and is known for his straightforward way of delivering songs. The thoughtful and challenging songwriting style of both Ians continues to produce gems. Ian W’s Hawks and Eagles Fly Like Doves was used on a CD to mark the 200th anniversary of the abolition of the slave trade inBritain and the respect of other musicians is evident from the number of artists who cover material from both Ians. 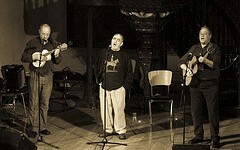 Ian Bruce & Ian Walker are at Irvine Folk Club on Wednesday 30th May. The Club meets in Vineburgh Community Centre inQuarry Road and starts at 8pm. Better get there in good time to make sure of a seat. 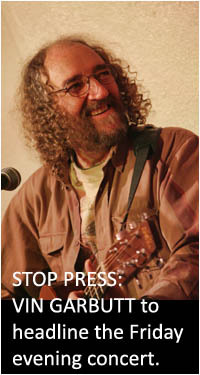 Three days later on Saturday 2nd June it will be Jim Malcolm at the Harbour Arts Centre inIrvine. It’s part of the new Irvine Harbourside Cultural Festival. Jim from Perthshire sings traditional songs ofScotlandas well as his own material. 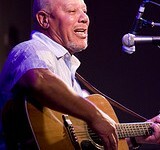 He has a fine, clear voice and is an outstanding guitar player and accompanies himself on harmonica too. He was lead singer for eight years with Old Blind Dogs but is now back as a solo artist. The concert starts at 7.30pm and tickets are available from the HAC on 01294 274059. As part of the new Irvine Harbourside Festival, there will be a folk music session in The Ship Inn on Friday 1st June starting at 8pm. And on Saturday 2nd June from 1pm and weather permitting, there will be busking at the Harbourside. Interested in playing? Then contact Joyce on 01294 551047. Ian Bruce, Ian Walker and Jim Malcolm – three fine musicians of whom we should all be proud. Don’t miss them. It is very sad to report the death of Johnny Silvo – arguably the best all-round folk entertainer ever to appear in Irvine. Johnny died peacefully at his home in Norwayon Sunday 18th December. He is survived by his wife Berit and son Patrick. Johnny first appeared at Marymass Folk Festival in 1974 and since then has built up a strong and loyal fan base and a wide circle of friends who sang with him, had a dram with him, golfed with him. He was an extremely affable and popular man. Johnny has sung and played in numerous Irvine Pubs – including of course the former Eglinton Arms, played at umpteen Marymass Folk Festivals as well as Schools, Rotary events, Senior Citizens concerts, Care Homes…the list goes on. It is hard to think of anyone with a voice to match his superb tone, clarity and volume. Added to which, Johnny was an exceptionally fine guitarist. After completing National Service, Johnny Woods changed his name to Johnny Silvo and played with Jazz, Skiffle and Blues bands, did a stint at presenting PlaySchool on TV before commencing a solo career. It was when he was with London’s Ann Dex Agency that he first came to the attention of Irvine Folk Club. It hardly seems possible that Johnny could have been topping the bill at this year’s Marymass Folk Festival’s Saturday Night Concert in the Volunteer Rooms singing favourites like Blueberry Hill, I wish I could shimmy like my sister Kate, I’ll fly away. He was in excellent form and there were many who remarked that, like good wine, Johnny was improving with age. Then came the awful news that Johnny had cancer and had only a few months left. Johnny’s zest for life sticks in the mind. He leaves a huge gap and will be much missed. The aim is to document all aspects of Marymass, including the town festival and the folk festival. The intention is to display photographs in an Exhibition later in the year. This is likely to be a web based exhibition but we hope that some of the photographs will be selected for display in the town and will be seen in future years as we build a festival photo archive. Whilst the age range is 18+, younger people with a genuine enthusiasm will be considered – but no unaccompanied children. 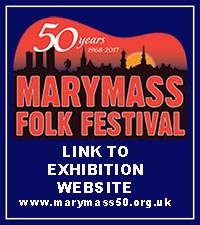 To register interest for Marymass through the lens, phone Joyce of Marymass Folk Festival on 01294 551047 or email her at JoyceIFC@aol.com. The first meeting to fully explain Marymass through the lens takes place on Tuesday 16thAugust in Vineburgh Community Centre in Quarry Road. There are two sessions to choose from: 11am to 1pm or 7pm to 9pm. After this introductory meeting, there will be workshops every day which will last about an hour and support and tuition from experienced photographers will be on hand throughout. As with the Folk Festival Fringe, Marymass through the Lens has been made possible with support of an Awards for All grant.